Description: Digitization provided by the USF Libraries Digitization Center. Rare Maps. 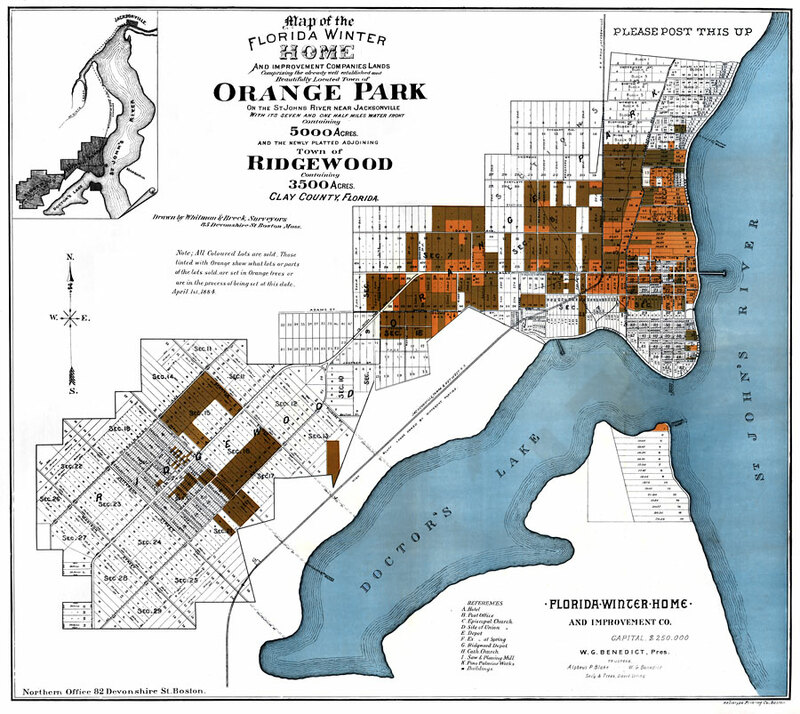 This is a detailed map showing the Florida winter home and improvement companies lands comprising of Orange Park (5000 acres) on the St. Johns River near Jacksonville and the adjoining town of Ridgewood, circa 1884. Section Township Range (STR) is shown. All colored lots are sold. This map shows roads, railroads, inland waters and location. There is also an inset map showing an outline of Orange Park and Ridgewood in relation to Jacksonville. Measurements.Dimensions: 59 x 66 cm.